I live in the Washington DC area with my husband and a color patch tabby kitten named Frie. I am a pet lover at heart. I would gladly welcome more furry friends into the household; however, I had to guilt my husband into the kitten. As a native Floridian, the DC weather makes me long for the sun rays on my face most days. When I can whisk my husband away from his job we enjoy warm, sunny places anywhere in the world. We have plans to visit Peru this summer! Lina James, psychiatric nurse and self-proclaimed independent woman isn’t going to allow another man to walk out of her life. She’s declared a preemptive strike on the male species with a man-fast. There’s just one glitch in Lina’s detox plan, her boss–Gideon Rice. Gideon Rice, veteran Marine and respected psychiatrist wants to bury his rejection filled past and start a new life in Shell Cove. His plan is simple–to fill his house with a wife and children. He’s taken strategic measures to ensure that old skeletons never jeopardize his present day persona. When Lina finds herself in danger, Gideon comes to her aid. He soon discovers the full-figured beauty is just what he’s looking for in a wife. As the threat closes in on them, how will Gideon shed the facade to unleash the Marine that can keep them alive and convince Lina she can trust him with her life and her love?. 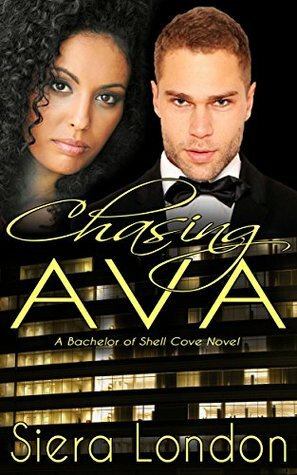 Kim: What were your perceptions about book promotion before your debut release, Chasing Ava? Siera: I didn’t have a clear understanding of the difference between book promotion and book marketing. I thought, hey, if I connect with potential readers via social media the interaction would translate in sales. Sike! I also believed if I told readers about my book that would be enough. Wrong. Kim: What resources did you access to coordinate book reviews and promote your book? Siera: I’m grateful that I attended a book marketing presentation about 90 days before my book released. At that event I hired the marketing company to help me identify my target audience, and then design a marketing plan for my debut release. The marketing team created a 60-second book trailer, story memes, Facebook ads, a blog tour, and a Facebook party, etc. Hiring a marketing company was well worth the investment. I would like to believe I avoided some of the missteps of debut authors. Kim: What did you learn about readers, reviewers, and bloggers through this process? Siera: I learned there is a living cycle to the process. I learned that readers are very supportive, reviewers are judicious and bloggers are a key link between readers, reviewers and the author. Readers are truly interested in what a reviewer has to say about a published work. There is a trust factor. In addition, I learned the importance of asking readers to review your book. Potential readers do read book reviews. The more reviews, good, bad, or indifferent impact book sales. ALL have a key component of your book promotion strategy. Kim: What social media did you prefer? What social media do you think was more conducive to promoting your book? Siera: Facebook is my drug of choice. I’m a Facebook toddler, but I enjoy sharing in the lives of my Facebook family. My Facebook friends afford me the luxury of connecting with at least one person on the planet that will celebrate my good days and empathize on my bad days twenty-four hours a day. The day of my book release I hosted a Facebook party. My Amazon ranking rose from #97 to #31 in just two hours! Facebook was a marketing treasure chest for me. With that, I do have to give Twitter it’s props…especially since I met most of my international readers on Twitter. Kim: What would you do different for your next release? Siera: I would ask for help from my author and industry professionals network. I will spend more time writing the next books, rather than promoting the heck out of one book. *Enter to win a Siera London swag bag when you subscribe to my mailing list by June 21, 2015. 1. What do you know about Peru? 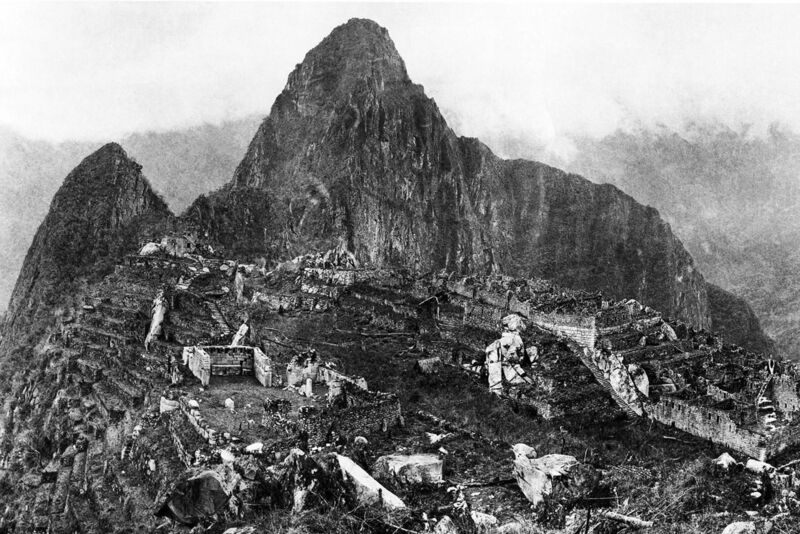 I'd love to visit Machu Picchu, the Inca historical site high in the mountains. Beside Machu Picchu, I know Peru is famous for the Nazca Lines. I have a friend that studies textile historical depictions. She's the reason we are visiting Peru this year. I don't know anything about Peru. I'm still doing my research on the area. Peru is on my bucket list. I have added Germany, Australia, Singapore, and Dubai to my list. I have friends who leave tomorrow to go to Peru. One stop they will make is a visit to Machu Picchu. I'll post pictures on my website in August. We can share in the experience. I know that Peru is located in South America and its capitol is Lima. Machu Picchu would be a fascinating site to visit. Machu Picchu is the second stop on our tour. We fly into Lima before visiting Cusco. I know absolutely nothing about Peru. However, my GI doctor is from there, and he's a very nice man. One of my co-workers is originally from Peru. She is excited for me. She's recommended local dishes to try. I totally agree about Machu Picchu - we watch the history channel all the time. I know someone that went but unfortunately a good part of it was closed for some kind of repairs - what a bummer. I've been tracking the civil unrest in Peru for the past two months. Fortunately, none of the cities on our tour have been effected by the protests.